Excellent news! We have managed to procure a new medic for your regiment! 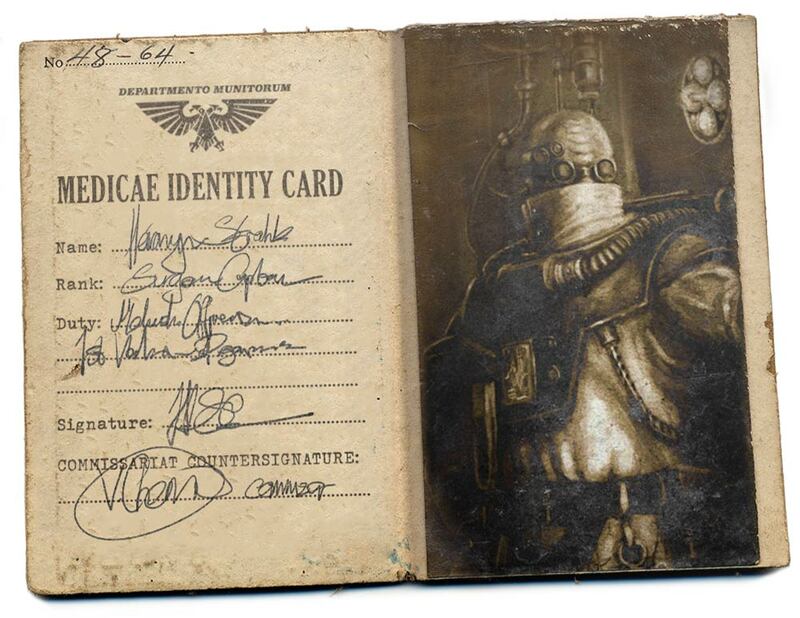 * While the people of this planet may have customs, your medic was out of line in accusing such brave, hard-working individuals of being some kind of “sinister xenos cult”. Such lies are typical of those in the thrall of the Archenemy. ** Indeed, we imagine Commissar Cherenkov would have survived his mysterious poisoning were Doctor Strahb present! *** Particularly after your Munitorum Priest tripped and fell on that power pick several times! Please note that such clumsiness will be punished severely to discourage further accidents.